Great Opportunity To Enhance And Update! 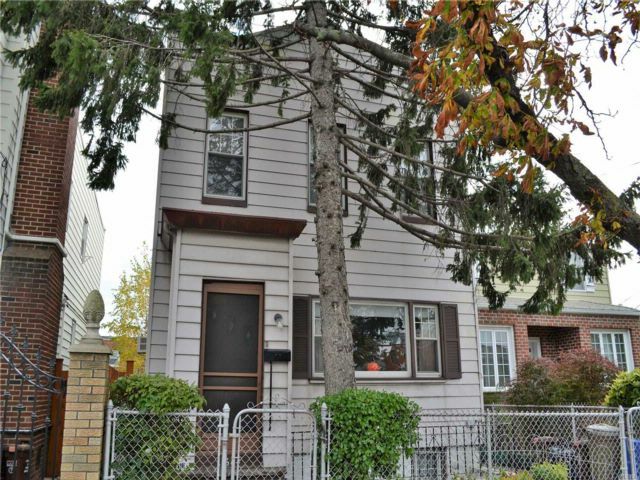 Detached Four Bedrooms Single Family In Maspeth. Total Of 6 Rooms. The First Floor Features Living Room, Large Eat In Kitchen And Access To Large Backyard. 4 Bedrooms On Second Floor. Finished Bsmnt With Bathroom And Access To The Backyard. House Can Be Expanded By An Additional 1,225 Sqft. Convenient Location Close To Shopping And Transportation (Q58-Q59-Q18) . Sold "As-In." Condition A Must See!